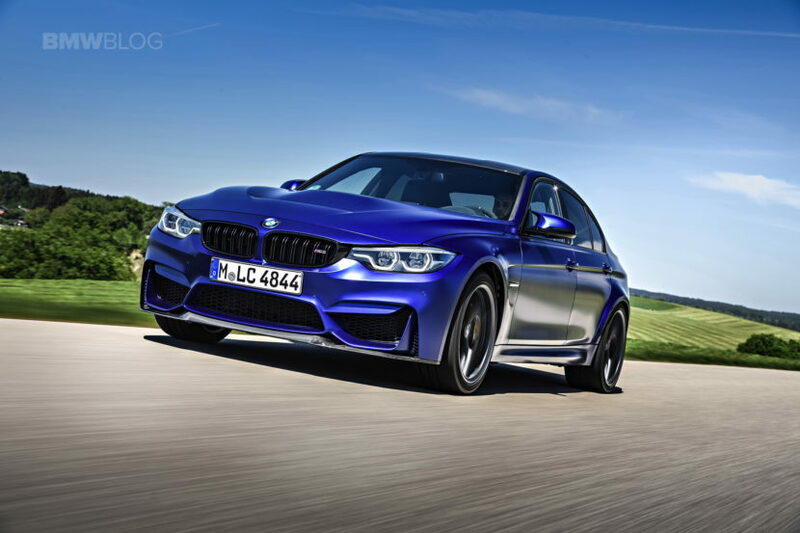 BMW’s most iconic M car is – and likely will always be – the M3. 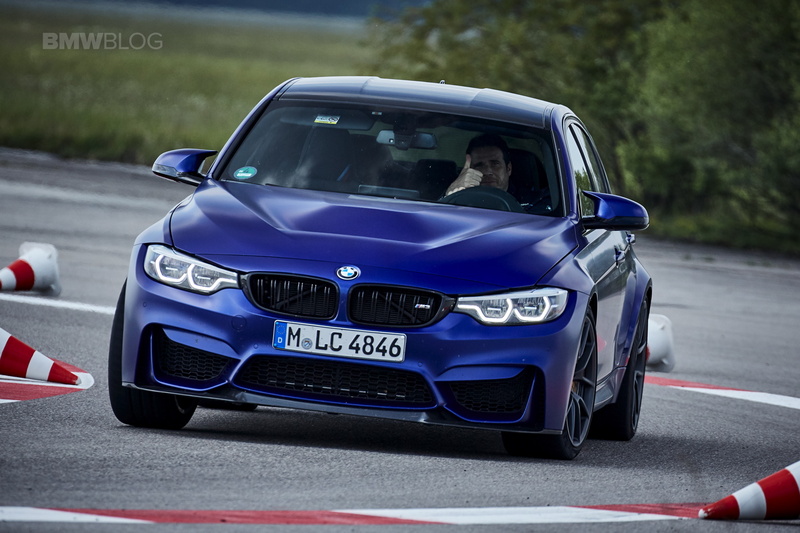 So it comes as no surprise that the M3 has one of the most loyal followings in the automotive world. 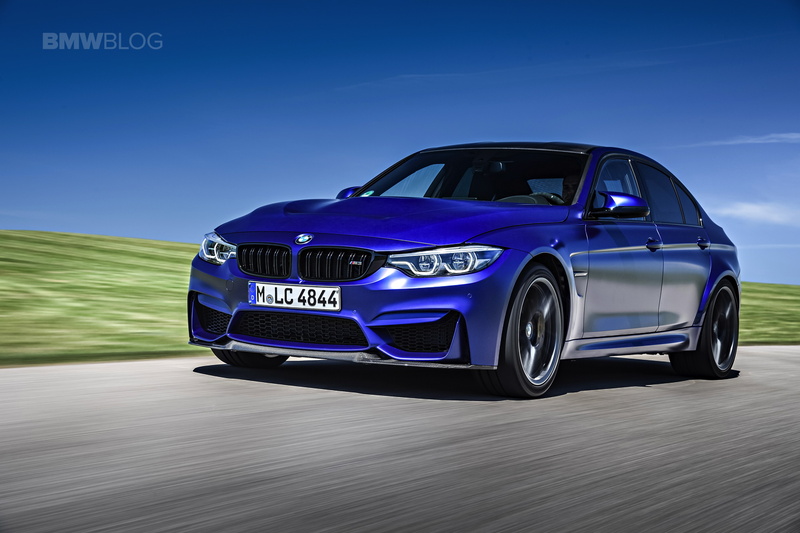 The current generation may be facing stiff competition from the Audi RS4, Mercedes-AMG C63 and the Cadillac ATS-V, but the loyalty of the M3 owners has not been shaken by any of those new products. Yet, if you follow the M strategy in Garching it’s easy to see that every car they built has evolved to suit the tastes and requirements of the time, by adding power, luxury, tech and of course, size. It’s an understatement to say that the M Division is not a well-oiled machine, every product they plan comes with a seven year strategy which involves additional models catering to their diversified demographic. 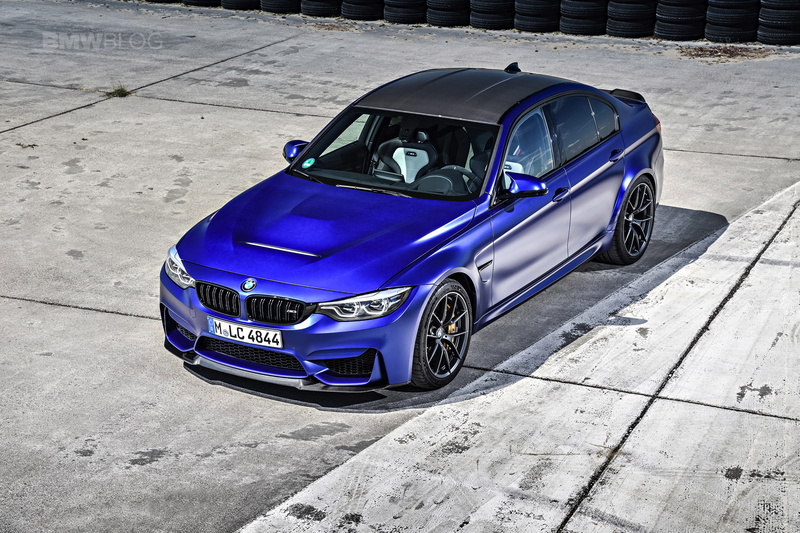 The plan designed by BMW M CEO Frank Van Meel involved an M3 Competition Package being released shortly after the “standard” model which aimed to provide additional performance to those purists in constant search for automotive thrills. 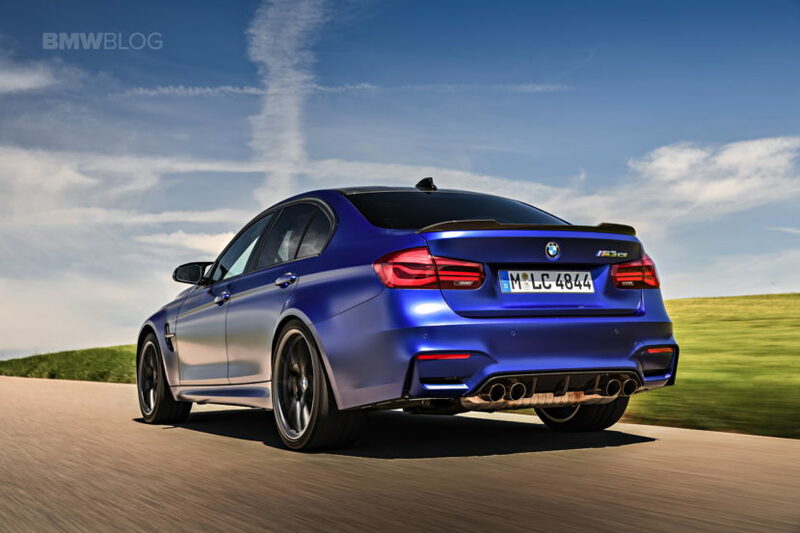 And as we said at the time, the M3 with Competition Package is what the first F80 M3 should have been from the beginning. But today, I’m going to show you why the M Division is more engineering capable than ever and actually has a viable plan. 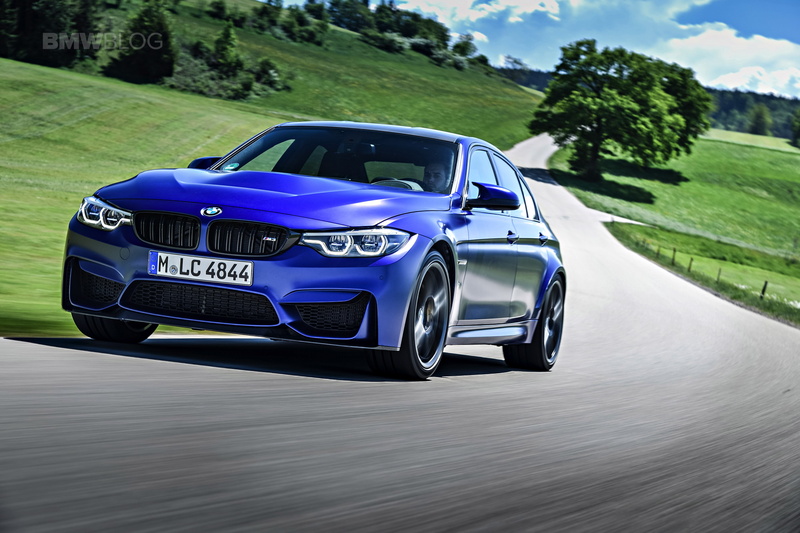 With the release of the M3 CS, BMW is adding another level of sportiness to the M3 lineup, maybe just a tad lower than the aspirational M3 CSL. While in Europe, BMW has extended an invite to spend a few hours aboard the limited edition M3 CS, both on the track and through some back roads. The new M3 CS follows in the steps of its brother, the M4 CS which was unveiled last year, with a similar engineering treatment and philosophy. 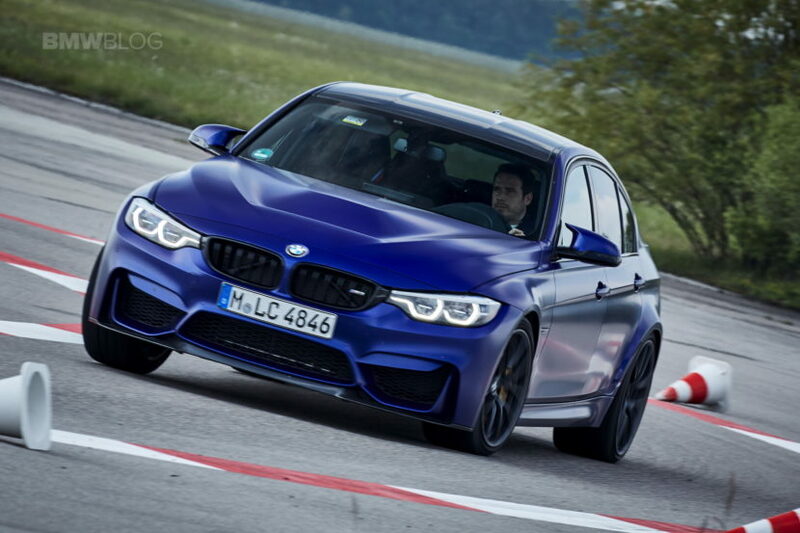 First, it received a power boost, up 28 hp from the standard M3 to make 453 hp. It also gets a bump in torque, up 37 lb-ft to total 443 lb-ft. According to BMW, the M3 CS can get from 0-60 mph in 3.7 seconds, which sounds about exactly right, considering the Comp Pack can do it in around 3.8-3.9 seconds and the CS is a bit lighter – at 1,585 kilograms (3,494 pounds) or 50 kilos lower than the standard M3 – and more powerful. 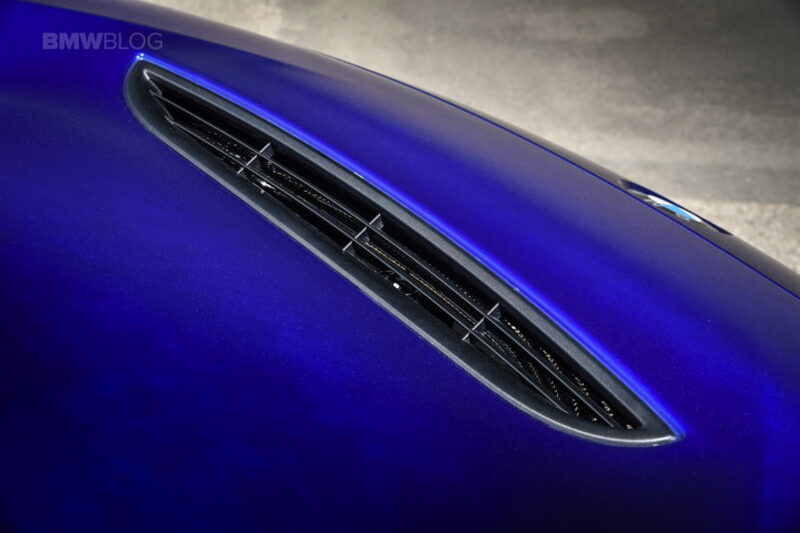 The weight savings come from a carbon fiber roof which is 6 kilos lighter than the conventional roof, also from the 25 percent lighter hood and from the lightweight wheels – 9 kilograms for the 19 inch wheel and 10 kilos for the 20 inch. 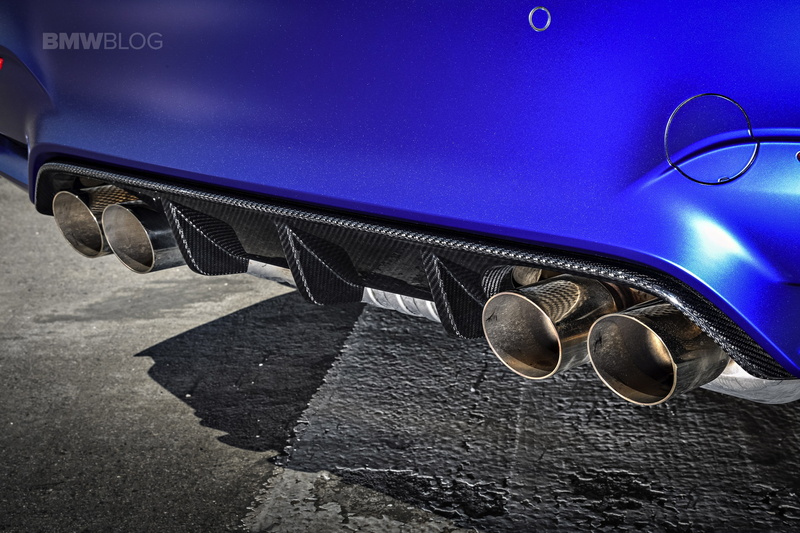 In the aero department, the M3 CS stands out with its carbon fiber front lip, carbon rear diffuser and carbon rear spoiler. 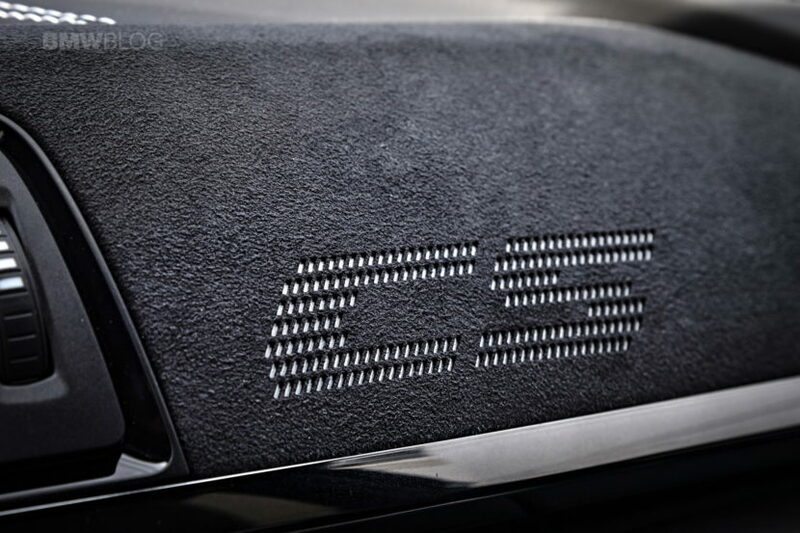 There’s also a CS-specific exhaust that’s tuned for a more aggressive, racier sound, would dare to say, even better than the M Performance Exhaust. Inside, the M3 CS maintains its civilized tone with a sporty, yet luxurious cabin. Its door panels are covered in contrast-stitched leather, as is the dashboard, and the seats are a unique combination of Silverstone/Black two-tone leather. 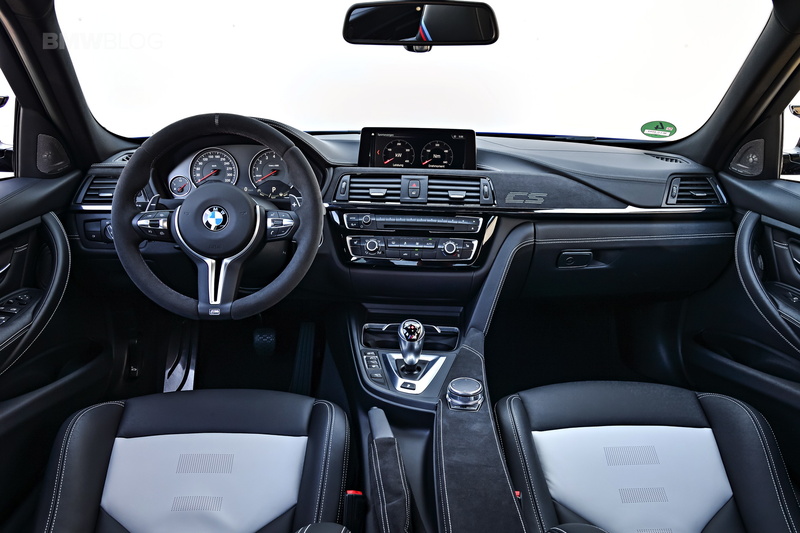 The lightweight material Alcantara adorns all the trim, such as on the dash and the center console, and just like in the M4 CS, the armrest has been deleted here and is just covered in Alcantara instead. 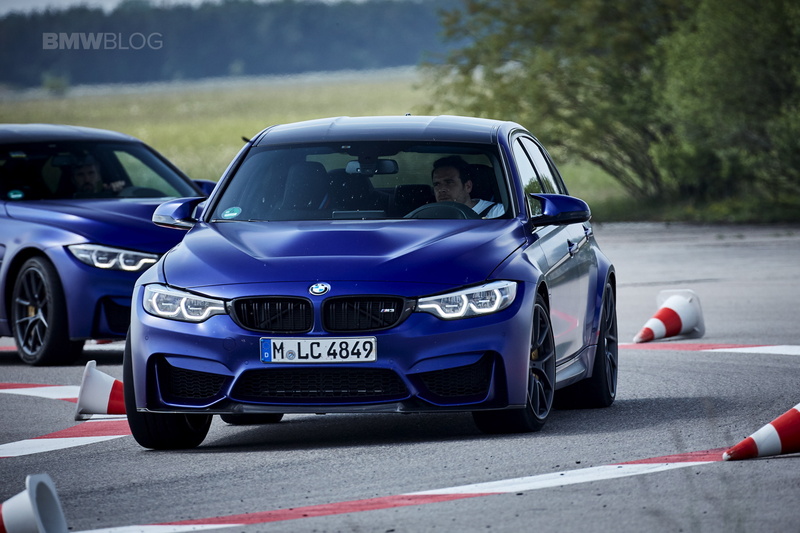 But that’s just half the story with the new M3 CS. Where the car really shines is in its handling, and most of that comes from a revised software for the DSC and limited slip differential. 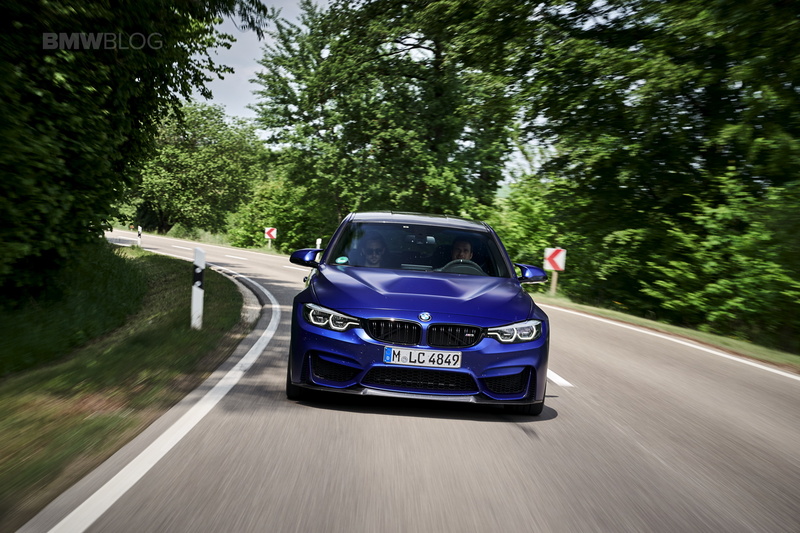 According to the M engineer in charge of driving dynamics, the geometry and hardware of the suspension remain unchanged, but while the DSC in the base F80 M3 has been more restrictive, the combination of the revised DSC and LSD are helping you become an even better and faster driver. Next, the balance of the car and downforce was high on the priority list. At 200 km/h, the downforce is now 200 Newton versus 160 Newton in the M3 Competition Package. 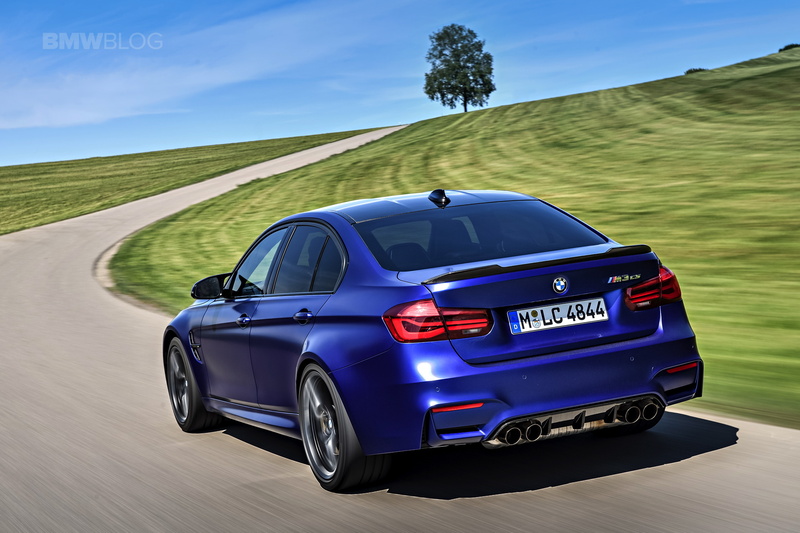 Therefore, the M3 CS benefits from improved cornering, braking and stability, and not so much tail happiness in the back. Unfortunately, there is no manual transmission in this super sporty M3, but the seven-speed box DCT is just as wonderful as we’ve come to know it. Shifting is quick and effortless, and as always, it can be configured to your taste. 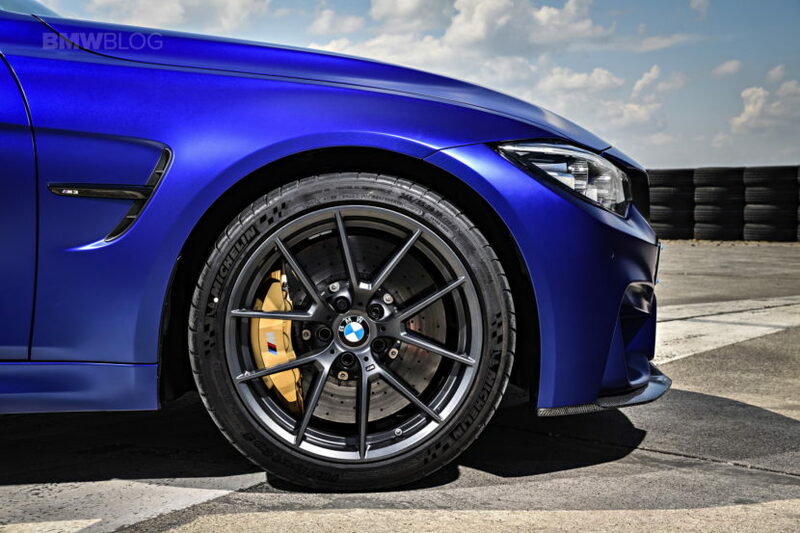 After a few hours with the car, I came to realize that despite all those engineering improvements, one of the biggest upgrades to the car comes in the form of new standard tires – the Michelin Pilot Sport Cup 2 (265/35/19 front and 285/30/20 rear). The semi-slick tires have been finding a home on many tracks around the world, and also on some street-legal race cars, but I haven’t realized until now what a difference they can make, even in daily driving. My day kicked off with a top speed of 280 km/h (174 mph) on the German Autobahn which is always one of my highlights in Europe. Coming from the highly restrictive US speeds, it’s always a blast to have those wonderful BMWs offer you some straight-line fun. Thanks to the optional carbon ceramic brakes, the braking distance is better than ever, so with that issue out of the way, your confidence can quickly build up. The next segment of my journey took me onto the typical German backroads where every kilometer was built for the spirited driver’s pleasure. My co-driver is a young German, Max, who just raced at Nurburgring and placed 26th in his class, so he’s got some driving experience under his belt. That opportunity doesn’t come often so I decided to let him show me what the M3 CS can do. While literarily flying through those tight corners, I quickly came to realize that the M3 CS is indeed sharper than the M3 Competition Package, and most of that comes from the super sticky Sport Cup 2 tires. According to my driving report, corroborated by Max, the M3 CS feels more like a race car than a daily driver. 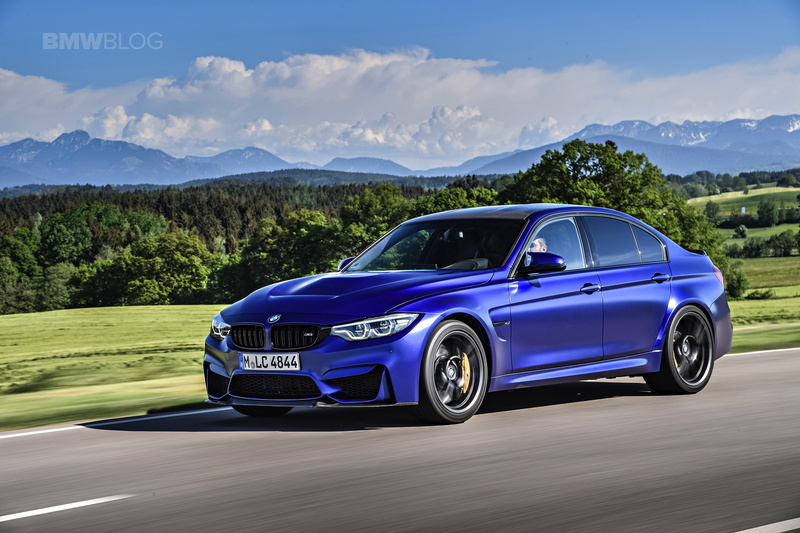 The chassis is tight, the DSC gives the impression of all four corners working together and again, compared to the M3 Competition Package, you don’t feel that you’re constantly fighting the rear. The M engineers seem to have also found the right suspension balance, which is nor too soft or too hard, while the dampers have the right comfort even when going over road bumps. Throwing the cars into corners is easier than ever and even a less experienced driver can quickly build confidence and push his or her limits. Of course, since this is a sedan, the chassis is stiffer than the M4 CS, allowing the suspension to operate more effectively. As always, the preferred mode of driving is Sport Plus which brings the steering input, suspension, throttle response and shifting to its highest and sportiest settings. The last exercise of the day involved a few hours of track time at the BMW Driving Academy in Maisach, an airfield course which is flat, with two long straightways and a couple of chicanes, so it’s fairly easy to master after a few laps and perfect to test different setups. MDM mode ON and off I go from the first straight-line into the chicane, downshifting to second, lightly touching the brakes, body roll inexistent, more grip than I need (if there is such thing), and existing with full throttle building speed into the next right-hand corner where you can keep the car in fourth gear to build up top speed for the long finish line. Top speed is now at around 200 km/h, the braking zone is approaching quickly, down into third, taking on the second chicane which brings into another right-hand corner. With a very slight correction of the steering wheel, the DSC stays off which allows me to once again exit the corner with the wheels straight and ready for the next straightway. Here comes a 90 degree corner on the right, with a fairly large segment of tarmac which allows you to fully take advantage of the entering speed. Now we’re onto the second largest straightway where BMW has setup a couple of smaller chicanes so we can test the M3 CS’ steering inputs in an obstacle avoidance situation. Top speed is somewhere close to 200 km/h, the left pedal is flat and the car cruises with ease through this challenge. Not once the DSC kicked in and there was always an enormous amount of grip from the wonderful Michelin Sport Cup 2 tires. After my first few runs, one thing was clear – no more tail swings and loss of grip which in turn, can indeed make you a faster driver. Next on my driving list was the DSC OFF mode. Now, I wouldn’t recommend this on the Nurburgring if you don’t know the track, but Maisach is exponentially more forgiving and safer. Of course, now the M3 CS allows for a bit more fun, you’re getting back some of that tail happy feeling, but still nowhere near the standard M3 or the Competition Package. 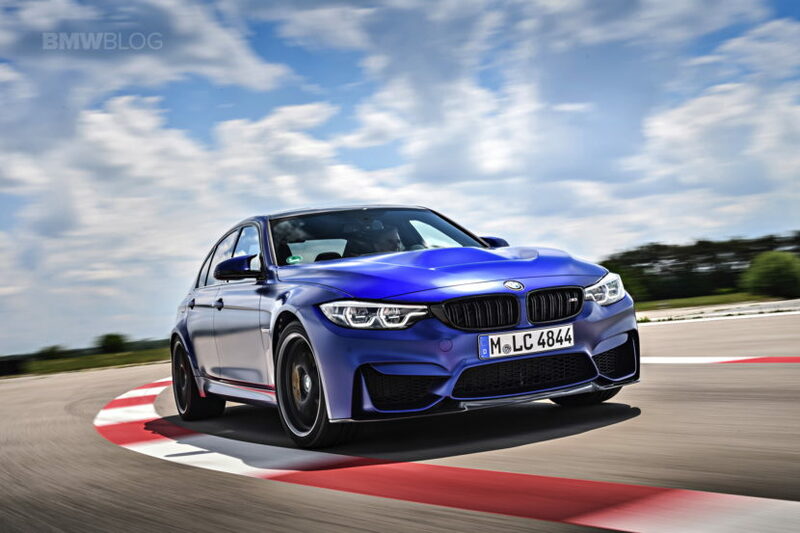 The M3 CS still feels grippy and sharp, while allowing me to have some fun in those fast corners – a little countersteer, more gas and here comes that highly coveted drift. An acclamation received from the M School Driving Instructor makes me feel that I know what I’m doing, but truth be told, this is mostly the car doing the hard work. Now since I don’t have enough back and neck problems as it is, I decided to compete in the timed autocross where cornering and braking will pull those muscles, and g force will give you that much needed workout. Launch Control on, DSC off, the engine quickly pulls, the brakes are now warm and ready for the short, yet challenging track. After a few runs where I quickly realized that MDM mode on is what makes me a better driver, I managed to score a 25 seconds run, only about 1.2 seconds slower than the previously mentioned Nurburgring 24 hours professional driver. 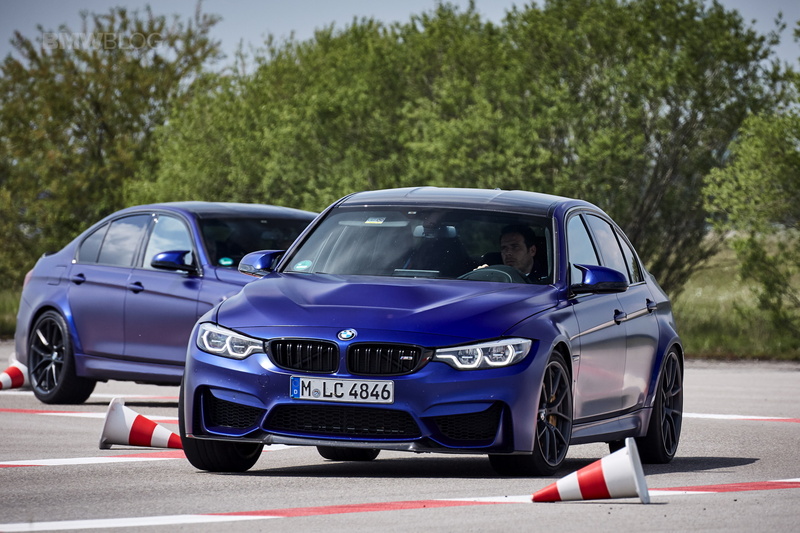 My “street cred” is now at an ultimate high, but I quickly came to my senses – the M3 CS can indeed make you a better driver, it’s a well composed package, it feels more balanced than any M3 before, and extremely agile in all driving situations. I haven’t driven the M4 CS yet, nor the M5 Competition Package or the new M2 Competition, but I can say with confidence than the M3 CS is the best new M car money can buy today, and I can see why the “CS” badge sits just below the CSL plate which for BMW fans is the ultimate street-legal racing machine. Orders for the BMW M3 CS start this month and there will only be 1,200 units built, with most units allocated for Europe being sold out. The U.S. market will get about 500 units with production starting in June and according to BMW M, there are a still a few models left to order. 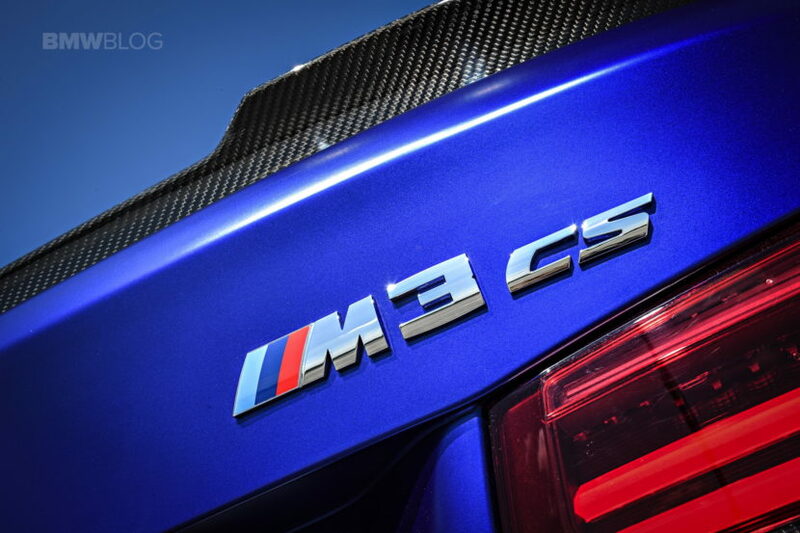 The M3 CS is priced at 113,700 euros in Europe and $97,400 in the United States. Previous post Tesla Model 3 Dual Motor a BMW M3 Rival?